The top two places both went to females this year!!! 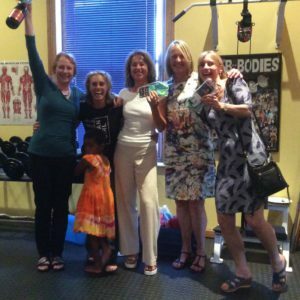 Anne B was the overall winner with losing 4,3 kg’s, 2,8% body fat and an amazing 6 cm’s around her waist. karen A was in second place with losing 3,7 kg’s,1,7% body fat and also an amazing 6,5 cm’s in waist measurement. Well done to both of you over this 3 month challenge. Watch this space of 2017 challenge.